Dennis Alexander: Washington Academy Middle School promises to be another in the long line of boring schools he has been expelled from. Rhonda Snodgrass: Although trained from childhood in survival tactics, she tries to stay off the radar of the “cool” kids who think she’s weird. 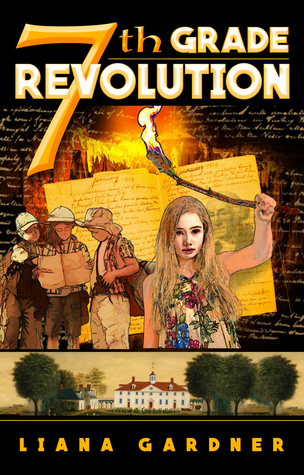 7th grade turns out to be anything but normal when teachers announce the students’ bloodless revolution succeeded and they are now in charge. After conducting a secret-ballot vote on policy, the 7th graders emerge to find the school evacuated and the FBI lurking outside with the task of unearthing a treasure of national importance. The students’ mission is clear—discover the treasure before the FBI locks down the building. Dennis and Rhonda lead the revolt and must work together to follow century-old clues left by a crazy Revolutionary War buff. To stay one step ahead of the FBI, they must delve into history and amass an arsenal to defend their school … because this is WAR! A ghostly moaning carried to them across the water, along with clanking chains. Dennis believed him because he wouldn’t have had time to set up something so elaborate and he’d lost his cocky attitude. Selena raised her finger and stuck it in Spencer’s face, but before she had a chance to say a word, more chains rattled followed by even louder moans. Brooke squealed and scuttled backward until she hit the wall surrounding the grotto, hard. Stones cascaded down as the wall behind her crumbled from the impact. She held her head where she’d banged it. Brooke sagged against the wall causing it to disintegrate a bit more. A bony hand flopped out onto her shoulder. She screamed. “Get it off me. Get it off.” She bounced on the balls of her feet. Dennis joined Spencer and helped pull the strands of hair from the joints. Behind Brooke’s head, a skull was partially visible. How long had the poor guy been walled up in the cavern lake? Well, he didn’t know guy or girl, but one thing was sure—this wasn’t some prank. 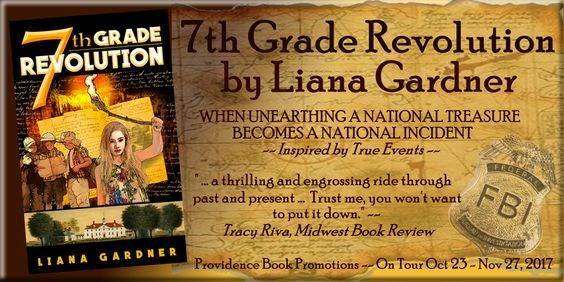 Liana Gardner is the two-time teen choice award-winning author of the Misfit McCabe series. Daughter of a rocket scientist and an artist, Liana Gardner combines the traits of both into a quirky yet pragmatic writer and in everything sees the story lurking beneath the surface. Born in Seattle, WA and raised in southern California, Liana is definitely a west coast girl, but loves to travel. My sons would have enjoyed this story when they were in Middle School.